Manchester United are lining-up a sensational move to re-sign Cristiano Ronaldo as Jose Mourinho looks to pull-off a major coup this summer, according to reports in Spain via TeamTalk. Mourinho knows he needs to strengthen his squad during the summer window as his side are set to finish around 16 points adrift of newly crowned Premier League champions Manchester City. The United boss has been linked with a number of top class players in recent months but it looks as though the Portuguese coach has an ambitious transfer target lined-up. TeamTalk are citing a report from Diario Gol that claims United are ready to make a shock attempt to re-sign Ronaldo nine years after he left Old Trafford for the Bernabeu. Not only that but the Spanish publication says Mourinho is willing to use either Paul Pogba or David De Gea as bait to secure a deal to sign the 33-year-old Portuguese super star. 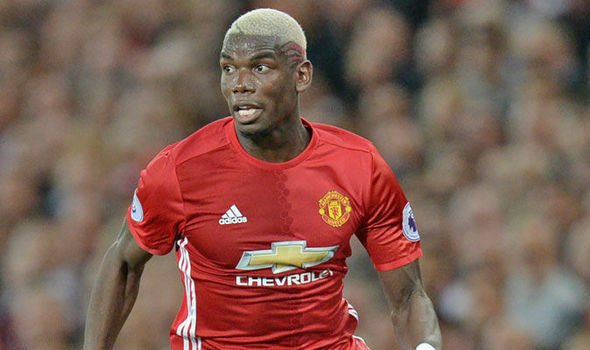 Speculation in recent weeks has suggested that Pogba’s future at United is in doubt following a supposed bust-up with Mourinho so the Frenchman is perhaps the most likely of the two to be used as part exchange to sign Ronaldo. Madrid have long been linked with a move for De Gea but the goalkeeper seems content at Old Trafford and isn’t agitating for a move so it wouldn’t make sense for United to lose arguably the best goalkeeper in the world. However, the report says Madrid are more likely to accept an offer that included De Gea as they’re desperate to sign the Spanish international so United may have to reluctantly lose their No.1 if they want to land Ronaldo. The attacker has developed in to one of the all-time greats during his time at Madrid having plundered a staggering 448 goals in 433 games to win a whole host of honours including 3 Champions League’s. He’s not showing any signs of slowing down as Ronaldo has scored 39 goals in his 35 appearances so far this season so he would still be a sensational signing if United could pull it off. However, I’d take these reports from Spain with a pinch of salt as Ronaldo is constantly linked with a move back to United and it almost always ends up with him signing a new and improved contract at Madrid.